While most cells in multicellular organisms carry the same genetic information, in each cell-type only a subset of genes is being transcribed. Such differentiation in gene expression depends, for a large part, on the activation and repression of cis-regulatory sequences, including transcriptional enhancers. Transcriptional enhancers can be located tens of kilobases from their target genes, but display characteristic chromatin and DNA features, allowing their identification by epigenomic profiling. Our study aims at a better identification and characterization of active enhancers in Zea mays, providing a better understanding of gene regulation in this important crop plant. We have shown that integration of genome-wide DNA methylation, histone acetylation and chromatin accessibility data sets can be used to predict tissue-specific distal enhancer candidates in Zea mays. About 1,500 putative regulatory sequences have been identified in young seedling and husk tissue. These include known and experimentally validated enhancers, such as the b1 and tb1 enhancers. Enhancer candidates are characterized by low DNA-methylation, increased chromatin accessibility, and enrichment of H3K9ac. The latter has, unlike in animal systems, an asymmetric distribution at the majority of enhancer candidates. Currently, enhancer candidates are being characterized in more detail by, among others, reporter essays. In addition, we demonstrated that Vgt1, a predicted regulatory element located about 70 kb upstream of the floral repressor gene ZmRap2.7, can act as an enhancer. Silencing of Vgt1 by DNA methylation results in earlier flowering. The presentation will elaborate on the identification, but also characterization of identified enhancer candidates, including b1, an enhancer sequence involved in paramutation in maize. Weber et al. (2016) Trends in Plant Science 21, 974. doi: 10.1016/j.tplants.2016.07.013. Oka et al. (2017) Genome Biology 18:137. doi: 10.1186/s13059-017-1273-4. Maike Stam is a molecular geneticist studying transcriptional regulation of gene expression. 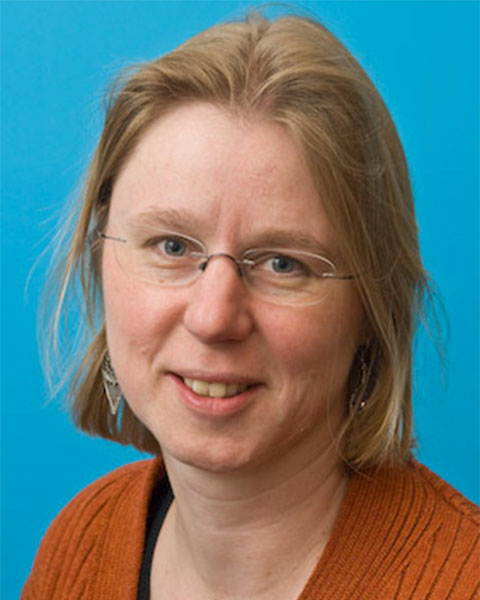 She is currently an assistant professor at the Swammerdam Institute for Life Sciences at the University of Amsterdam in the Netherlands, and has been coordinating the EU FP7 Marie Curie ITN EpiTRAITS (epitraits.eu). Her group focuses on epigenetic mechanisms, chromatin structure, distant enhancers and chromosomal interactions, using plants (maize and Arabidopsis) as a model system. One main research line aims at unraveling mechanisms underlying the transfer of epigenetic information between specific alleles as well as genome-wide. Another main research line focuses on getting a better understanding of the regulatory code in plants, in particular crop plants containing complex genomes. Such knowledge promises new targets for informed breeding in crop plants. Bio: Maike Stam is a molecular geneticist studying transcriptional regulation of gene expression. She is currently an assistant professor at the Swammerdam Institute for Life Sciences at the University of Amsterdam in the Netherlands, and has been coordinating the EU FP7 Marie Curie ITN EpiTRAITS (epitraits.eu). Her group focuses on epigenetic mechanisms, chromatin structure, distant enhancers and chromosomal interactions, using plants (maize and Arabidopsis) as a model system. One main research line aims at unraveling mechanisms underlying the transfer of epigenetic information between specific alleles as well as genome-wide. Another main research line focuses on getting a better understanding of the regulatory code in plants, in particular crop plants containing complex genomes. Such knowledge promises new targets for informed breeding in crop plants.